Scrubs are really essential to remove deal cells, dirt and pollutants from your skin layer. Market is flooded with variety of scrubs available in various types of stores but people with oily skin tone are prone of getting all types of skin problems such as pimples, acne due to excessive oil deposit over their skin layer. Thus, they must always use a scrubber before washing their face and application of any other product over their face. Cleanliness of their skin layer is really important which can be accessible through diverse range of scrubbers designed for the oily skin tone. Even the online shopping store can provide you with wide range of such products. It is really easy to start buying online with the need and optimization towards the target objective. Oily skin also brings blackheads over the skin layer which can also be removed through scrubs for oily skin tone. Oily skin is the reason behind blackheads over the nose rings, chins and other parts of the skin. If you are using blackhead remover scrub that means it is a category of scrub designed for oily skin. You can see reduced blackheads over your skin tone right from day 1. Since it is a daily clearing skin scrub, you can use it every day and keep your skin free from blackheads. This is a facial scrub which can be used by both male and female as well as people with both dry and oily skin tone. Since it is Paraben free and have Neem extract you won’t have any side effect over your skin tone. This is made with the rich combination of herbs, fruits as well as nuts. Just take a swab with your finger after washing your face with water, apply it over your face with a circular movement. Let it stay for couple of minutes and then wash away. You must have known about the Jojoba oil which is ideal for all skin tone. This scrubber is made by keeping Jojoba oil as its main ingredient along with Aloe Vera that works really well in removing bacteria and toxins from your skin layer. Since this is a gentle exfoliate this wont damage your skin. This is an organic purifying facial toner that will clean your face deeply eradicating all the impurities from the skin layer. The ingredient contains ginko tree leaf along with the leaves of organic leaves. You can get radiant and refreshed look after applying this particular skin cleanser. This is a wonderful face wash along with scrub which will be ideal for all those skin that has excessive oil deposit. Since oily skin have a problem of excess oil secretion, this will be ideal for all those who have oil skin tone. This also has mild foaming cleanser to remove dirt from your face. Whether you have oily skin tone or any other type of skin, this particular exfoliate and scrub will suite you in any skin condition. Usually people get parched skin due to excessive exposure of sunlight and also as a result of aging. This is a wonderful skin cleanser as well as scrub which will be ideal to remove dirt and lift wrinkles from your skin layer. 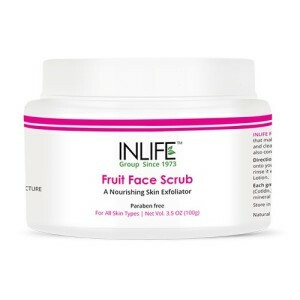 This is a wonderful variety of exfoliate scrub that works really well in keeping you away from oily skin. If you can use this product for 2-3 times in a week, this will give you best result. This product is dermatologic ally tested along with the oil free formula to remove excess oil from your skin. You can now get it in any of the online sites that deals with the cosmetic products. You must be aware of the brand name Oriflame. It manufactures wide variety of skin care and hair care products. This scrub filled with the natural tea tree oil extracts work really well when you have oily skin tone. You can easily get this product from the online store. You can have a look at the reviews of the product written by the customers. They will give you true and impartial opinion. Himalaya is a well known brand available in the market that comes with a conditioning technique. This will leave your skin attractive by removing the dead skin layer exclusively. This will hydrate your skin with the removal of impurities. If you have too much of dead skin layer, this apricot scrub will be beneficial. But, you need to use it for 4-5 times in a week. This will be a great product for you to remove excess oils. Made especially for people with oily skin O3+ Volcano Scrub helps in reducing oiliness and also hydrates your skin. May it be black-head or white-heads all can be removed which the help of the scrubs’ exfoliating treatment for even normal skin type. Massage the scrub on your face avoiding the areas around your eyes and breakouts. It can also be used as a tan remover. For best results use it thrice every week. No matter what the problem is, may it be dead skin cells, clogged pores and blackheads all can removed by exfoliating your skin using Lotus Herbals Apriscrub. Your skin will get a radiant glow and will feel refreshed. Its walnut shell powder content exfoliates the skin, glycerin restores all the moisture that was lost, corn gives your skin nourishment and cleansing and elder flower extract helps in improvement of the complexion your skin. Other ingredients in the scrub are Lanolin Oil, Apricot Kernel Oil and Calendula Oil. Massage this scrub in circular motions on your face and neck for 5 minutes, do not rub it on pimples and then using cold water wash it. BioCare Sandal Scrub has the formulation of Apricot walnut granules, sandal wood oil and extracts of turmeric. Massage it gently in circular motions and it will remove dead skin cells and free radicals from your skin’s dermal and epidermal layer and also circulation of blood in your body is improved. Apply this scrub both on your face and body’s front as well as back. The areas where skin become thick plus dry such as elbows, knees and heels, apply the scrub in these areas specially. Massage for 3 to 5 minutes then using warm water wash it off. Use it with BioCare Lemon Gel to get radiantly glowing skin. Eliminating blackheads from the very first wash Neutrogena Deep Clean makes your skin healthy and clear looking. To remove the blackheads from the pores of your skin it has advanced microbeads which are mildly abrasive. It removes only the excess oil from your skin and not the essential nutrients and moisturizers as the scrub is free of oil and non-comedogenic. This scrub balances the dermal layer’s acid-alkali level thus your skin will be healthy and glowing. L’Oreal Go 360° has four cleansers which has an expert formulation along with having high foam content which amazingly caliber with the scrublet. Its natural apricot seed powder and salicylic acid helps exfoliating your skin revealing the clean and smooth skin underneath. This scrub is very gentle to use every day paired with a rich lather and fragrance of fruit and apricot. This scrub will reduce the size of your skin pores, it cleanses deep inside your skin and also removes the dead skin cells, thus revealing the soft and smooth skin. With the goodness of grape seed oil, papaya seed powder, neem extract, chamomile extract, honey and various other natural ingredients Oxyglow cleanses the pores of your skin deep removing dead skin cells and revealing a smooth, clear and refined complexion of skin. Apply this scrub on your face and wait for 10 minutes or until your face is dry then wash it by massaging. Herbal Roots fights problems of skin like blackheads, whiteheads, acne, pimples and tan with the help of its age old formula to deliver you a radiantly fair and glowing skin. It reveals the young, beautiful and smooth skin underneath by exfoliating your topmost layer of skin which has the dead skin cells. It has the goodness of Sandalwood, Turmeric and Saffron extracts to enhance your skin’s appearance. Use Herbal Roots Ubtan daily for tan removal and lightening of dark spots and pimple marks. Aroma Magic Scrub makes your skin lighter, brighter, smooth and clean by removing dead skin cells, blockage of skin pores and wrinkles. You can use it both on your face and body. Also removes excess oil, blackheads, exfoliates your skin, repairs damage caused by the sun and improves the texture of your skin. It will work effectively on all types of skin. Cleaning the pores of your skin and removing the dead skin cells plus blackheads gently from the surface Oxyglow face scrub is rich with jojoba oil, apricot kernel oil, glycerin, walnut shell powder and other natural ingredients. It is a complete natural therapy of fruit nutrients and vitamins. It can be applied on all types of skin. Formulated with the goodness of Oatmeal and Yoghurt Lotus Herbals face scrub makes your skin clear and fair with the help of its whitening scrubs. It removes dead skin cells with the help of its gentle exfoliation and not only that but also it helps in removal of dirt, impurities, oil, blackheads and whiteheads from the skin pores making your skin look spotless and clean. It restricts dullness and discoloration of your skin by making your skin tone even. 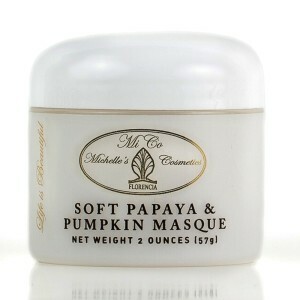 Also the scrub will hydrate your skin and locking the moisture inside. Tanning and aging of your skin is also prevented by Lotus Herbals White Glow making it look healthy. It is completely suitable for normal, dry, combination and oily skin. Formulated with organic proteins of milk and extract of honey Oriflame Gold face scrub reveals the soft skin within by smoothening the dead skin cells and also moisturizes your skin which a cherishing experience. Apply anywhere on your face and body where you seem find dead skin cells. It is perfectly suitable for all types of skin. It also helps removing tan.